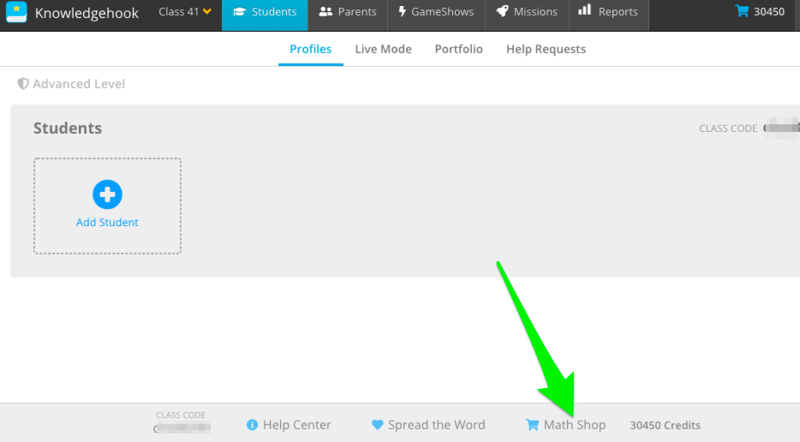 What is the Knowledgehook Math Shop? The Knowledgehook shop is a place where teachers can buy Knowledgehook swag, math resources, and other classroom materials. Credits earned from the Knowledgehook Rewards program can be used to get substantial discounts off of items offered on the shop. Credits can be used for products in the Knowledgehook store, either making the item completely free, or applying a discount. You can choose to use them as you go or save them to use on a later purchase. When teachers maintain an active status on Knowledgehook (meaning run at least 1 activity once a week for a month) they are eligible for a $2 discount for every 20$ spent. If you are unhappy with your purchase, you have 30 days from date of delivery to return unused items in sellable condition. Returns are accepted within 30 days of purchase, provided the returned product is unused and in original saleable condition. If you have received the shipment and a product is damaged, we recommend that you inspect the package before you sign for it and if there is obvious damage from shipping, we recommend you refuse the shipment. If product was ordered by the customer in error, the customer is responsible for shipping charges on the return. All returns must be authorized by our customer service department please contact customer service at [email protected] and they will help to direct you to the proper channels for having the return authorized. To all Canadian customers, our standard shipping takes 15-20 business days. Due to some service provider restrictions, we do not ship to P.O. Boxes on specific items. Please contact [email protected] for more details. Flat Shipping cost of $4.50 is applied to every order. Please Note: The cost for expedited service varies depending on the service you request. Expedited service may not be available for certain locations.